Reports suggest the Samsung Galaxy S3 will come sporting a Super AMOLED HD plus display when it finally launches in the second or third quarter of 2012. Digitimes spoke to sources in Samsung's supply chain, who revealed the Galaxy S3 is likely to ship with a 4.6-inch screen, boasting a pixel density of 319ppi – quality which will rival the retina display on the iPhone 4S. AMOLED displays provide better power consumption, reaction time, weight and thickness compared to LCD displays, which has lead to predictions that a high number of handsets will use this technology in 2012. Samsung is the number one producer of AMOLED displays and is looking to introduce into a number of its new models. The Samsung Galaxy S3 is shaping up to be a stand-out mobile phone, with rumours suggesting it will sport a quad-core processor, large HD screen, 4G, NFC and beefed up camera. 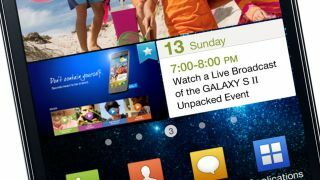 We're yet to hear when the Galaxy S3 will be launched, although Samsung has said it will arrive in the first half of the year.